The Consumer Financial Protection Bureau (CFPB) has taken action against three reverse mortgage companies for deceptive advertisements, including claiming that consumers could not lose their homes. The companies sanctioned are American Advisors Group, the largest reverse mortgage lender in the United States, Reverse Mortgage Solutions, and Aegean Financial. They were ordered to cease deceptive advertising practices, implement systems to ensure they are complying with all laws, and pay penalties totatling more than $800,000. 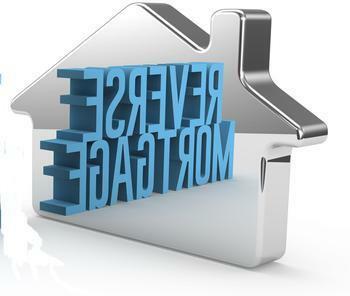 A reverse mortgage is a special type of home loan that allows homeowners who are 62 or older to access the equity they have built up in their homes and defer payment of the loan until they pass away, sell, or move out. The loan proceeds are generally provided to the borrowers as lump-sum payments, monthly payments, or as lines of credit. Homeowners remain responsible for payment of taxes, insurance, and home maintenance, among other obligations. Through its investigation, the CFPB found that, since January 2012, American Advisors Group’s advertisements misrepresented that consumers could not lose their home and that they would have the right to stay in their home for the rest of their lives. The company also falsely told potential customers that they would have no monthly payments and that with a reverse mortgage they would be able to pay off all debts, CFPB said. In fact, consumers with a reverse mortgage still have payments and can default and lose their home if they fail to comply with the loan terms. These terms require, among other things, paying property taxes, making homeowner’s insurance payments, and paying for property maintenance. Moreover, a reverse mortgage is a debt and therefore cannot be used to eliminate all of a consumer’s debt. CFPB found that, since January 2012, Reverse Mortgage Solutions’ advertisements misrepresented that consumers could not lose their home and that they would have the right to stay in their home for the rest of their lives. The company also created a false sense of urgency to buy the reverse mortgage product and misrepresented that time limits constrained the availability of a reverse mortgage. For example, one call script required representatives to tell potential customers that if they didn’t call back by close of business, they would “turn your file down and you will miss out on a tremendous money-saving opportunity.” In fact, it was not a limited time offer. CFPB found that, since 2012, Aegean Financial's advertisements misrepresented that consumers could not lose their home and that they would have the right to stay in their home for the rest of their lives. The reverse mortgage broker also falsely told potential customers that they would have no payments with a reverse mortgage and claimed that consumers would not be subject to costs associated with refinancing a reverse mortgage. The CFPB also alleges that the company falsely affiliated itself with the government in its Spanish-language advertisements. For example, one advertisement said, “if you are 62 years old or older and you own a house, we have good news for you; you qualify for a reverse mortgage from the United States Housing Department.” In fact, although the Department of Housing and Urban Development provides insurance for the most popular type of reverse mortgage, a reverse mortgage is not a government benefit or a loan from the government.